I’m Janet Forte (Yogini) Social Media Strategist at Subliminal Pixels Lab and advocate for missing South Florida mother, Lily Aramburo. 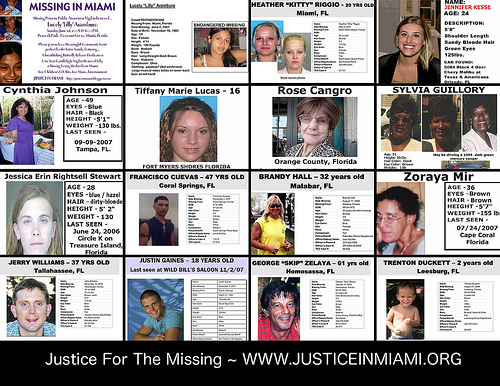 Lily was last seen in Miami, Florida the night of June 1, 2007. I’ve been using social media to raise awareness for Lily. The main stream media has not been helpful in telling her story. Getting media attention is one of the many obstacles faced by families of missing persons on a daily basis.